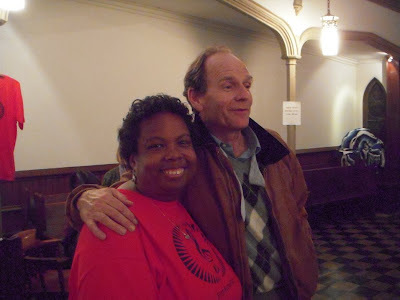 This post deals with some things the Spitzer administration elected to shroud. Not so coincidentally, it gives us an opportunity to muse on the subject of investigations and how the new preoccupation with federal stimulus funding could make them particularly important. This continues our series regarding letters about Atlantic Yards written to politicians and people of influence. 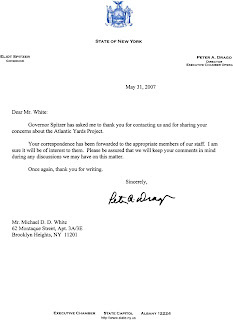 Early in the series was a letter to then Governor Spitzer (see: Dear Eliot, . . . . . 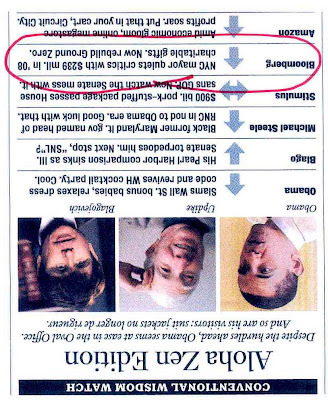 Please be a true reformer, Friday, August 22, 2008). As we said in that post, we received a response to the letter we sent to Spitzer when he was still governor and the letter we received is an interesting story in itself. Interesting enough to provide it to you here, together with our letter in response to that gubernatorial response. Our original letter urged Governor Spitzer to be a true reformer. Spitzer ran for his short-held office on a platform of general reform and specifically on accountability and proper governance of public authorities, Our exchange of letters revealed that Mr. Spitzer turned out to be quite the opposite. That was before he abruptly left office when other ethical problems came to light. Other letters in our series to date are Dear Mr. Bloomberg, . . . . . the Harm and the Foul (Tuesday, August 19, 2008) and the letter we arranged to be on his desk of Clark Hoyt the day he started his job as the Times Public Editor, Time to Times; Dear, Dear, Dear, (Wednesday, December 17, 2008). 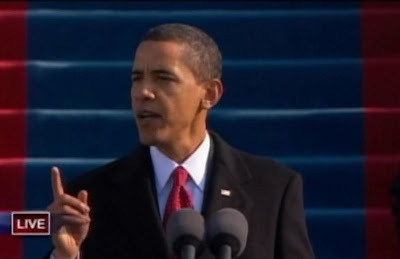 We will talk more at the end of this post about federal stimulus funds and what President Obama said in his speech Tuesday night about their proper use. 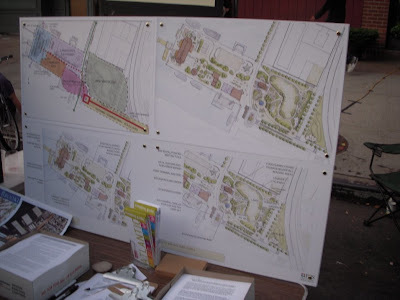 Our original letter to Mr, Spitzer was a careful, comprehensive list of the problems with the Atlantic Yards megadevelopment, including the errant governmental process (or lack thereof) that engendered it. The letter was written from my perspective as an attorney and urban planner experienced in development as a senior government official who spent a significant amount of time implementing ethics and public authority reforms. The response we received from Peter A. Drago, Director of Governor Spitzer’s Executive Chamber was, on its face, respectful and encouraging. Governor Spitzer has asked me to thank you for contacting us and for sharing your concerns about the Atlantic Yards Project. Your correspondence has been forwarded to the appropriate members of our staff. I am sure it will be of interest to them. Please be assured that we will keep your comments in mind during any discussions we may have on this matter. Mr. Drago’s letter notwithstanding, when we called Governor Spitzer’s Executive Chamber to follow up we discovered the reality was far from what was represented or promised. We found that a flood of correspondence opposing the megaproject was coming into the governor’s office. What was the governor’s office doing with those letters? Making sure they were buried and didn’t see the light of day even if they raised concerns that absolutely needed to be addressed elsewhere in other government offices; for instance, the Inspector General’s Office. I will let my letter back to Mr. Drago speak for itself. 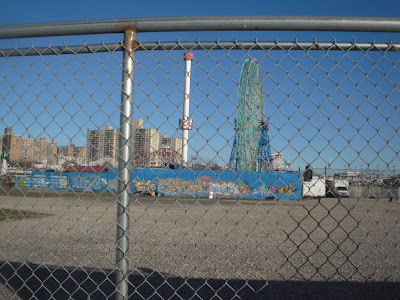 I am writing to follow up on correspondence about Atlantic Yards: The letter my wife and I wrote to Governor Spitzer on May 29, 2007 and your letter in response sent to me on behalf of the Governor of May 31, 2007. I consider myself privileged to have received your response: I know the Governor receives significant volumes of correspondence on the State-sponsored proposed Atlantic Yards and I appreciate that the number of those letters that receive any response is negligible. Yesterday when I called your office to inquire about the action taken with respect to our letter it was suggested in the conversation that a letter would be appropriate follow-up to get additional information. 1. Your file on our correspondence was closed out on September 26, 2007. 2. Throughout the time that the file on our letter was open our letter was kept internal within the Executive Chamber and never sent out to any external agency or authority. That means it was not shared with agencies where actions needing scrutiny are taking place: It was not shared with the Urban Development Corporation (a.k.a. 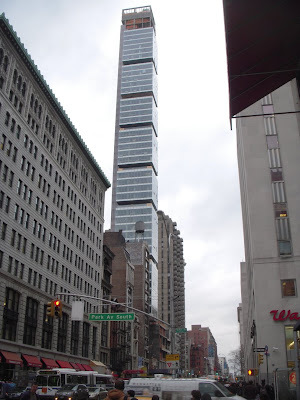 the Empire State Development Corporation) or the Metropolitan Transportation Authority. It was also not, for instance, sent on to an agency such as the State Inspector General’s Office. I have long been keenly aware that the amount of correspondence that the Governor receives about his and the State’s sponsorship and facilitation of the proposed Atlantic Yards is extraordinarily voluminous. Therefore it is not at all surprising to confirm with your office that the Governor (as handled by your Executive Chamber operation) gets thousands upon thousands of letters about Atlantic Yards, in a continual unceasing stream, that they come from people wide and far, in Brooklyn and all states in the union, and that virtually none of these letters express support for the proposed project. I was not surprised to confirm that this substantial volume of letters is all negative about the project. I also appreciate the fact that the letters about this exceedingly unusual proposed megadevelopment stand out as a highly appreciable portion of the 90,000 or so communications your office deals with in an average week. 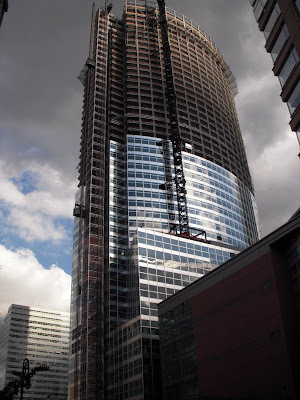 Yes, our letter was one of a scant minority of letters about this megadevelopment to have received any acknowledgment. I would like to think that our letter earned that distinction, and became a representative voice for the multitude of other letters the Governor has received criticizing this proposed megadevelopment because of the carefully considered analysis I offered and my qualifications as: a.) a real estate development and public finance lawyer, b.) an urban planner, and c.) a senior State government official with expertise and experience in proper public governance and public authority reform. (Much of my expertise in public governance and public authority reform was developed and refined implementing reform initiatives backed by candidate Spitzer.- Governor Spitzer was the fourth Governor whom I served.). The recognition was also perhaps because my wife and I were once early supporters of the Governor. I request more information about how our letter was followed up upon. By whom was it reviewed? What was done? From a standpoint of my familiarity with government I do not see how our letter could have received appropriate consideration by keeping it simply within the Executive Chamber. I am forced to wonder what purpose or expedient has been served by the handling it has received. I remind you, and by copy of this letter remind the Governor, that our letter urged project scrutiny, process scrutiny, and the Governor’s communication with the State employees sensitive to: i.) 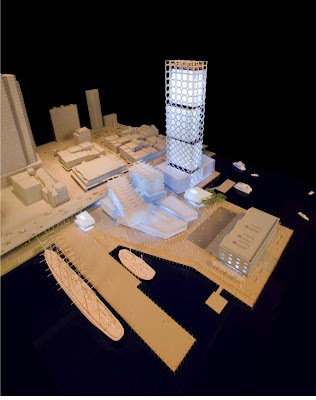 everything which is wrong with the proposed megadevelopment, and ii.) knowledge of how it desperately needs to and might be fixed. It detailed reasons for the Governor to give his urgent attention to public authority reform in this critical area. If the Governor is simply quarantining in the Executive Chamber all letters offering criticism or legitimate insight into the project’s obviously errant DNA, it seems impossible that any of this has occurred. Candidate Spitzer ran on a platform of public authority reform: If these are the actions by which Mr. Spitzer defines himself as Governor, what are we to infer? New York State’s residents are entitled to a government that is committed to the highest standards of integrity, efficiency, and accountability. We in the Office of the State Inspector General have been entrusted with the responsibility of ensuring that State officials and employees meet these fundamentally important standards. It is a responsibility we take very seriously. Indeed, we are committed to promoting and enhancing an environment that instills public confidence in our government and are proud to work with and for the thousands of public employees and citizens alike who share that commitment. The Office of the State Inspector General operates under the authority of New York State Executive Law Article 4-A. Our mission is to detect, investigate, deter and eliminate corruption, fraud, criminal activity, conflicts of interest, abuses of office, and waste in the State entities under our jurisdiction. These include executive branch agencies, departments, divisions, offices, boards, commissions, public authorities and public benefit corporations -- any entity of State government headed by an appointee of the Governor that does not have its own statutory Inspector General. Our jurisdiction encompasses more than 150 entities employing the vast majority of New York State’s nearly 190,000 public servants, as well as private entities doing business with the State. We have implemented two distinct but complementary strategies for accomplishing our mission: We vigorously and fairly investigate allegations of misconduct; we also conduct audits and systemic reviews of State agency programs and procedures, recommending improvements for positive and permanent reform of agency operations. We perform these functions with a professional staff of trained investigators, experienced attorneys and skilled forensic analysts who possess a broad range of expertise and a commitment to combating corruption and promoting greater efficiency in State government. Our efforts could not succeed without the assistance of the overwhelming majority of public employees who do their jobs honestly and effectively. If you are a State employee who is aware of misconduct by a State official or employee or by any individual conducting business with the State, you are required to report your information to us promptly and may do so by calling our Hot Line, contacting us by Mail or using our On-Line Complaint Form. Those who suspect or are aware of misconduct by a State official or employee, but who are not public employees themselves, should similarly report such information to us. Keep in mind that any State employee who acts in good faith to report such misconduct may not be subject to dismissal, discipline or other adverse personnel action. Again, welcome to our site. We appreciate your interest in our Office. Please send any questions or comments about our site to: webmaster@ig.state.ny.us. 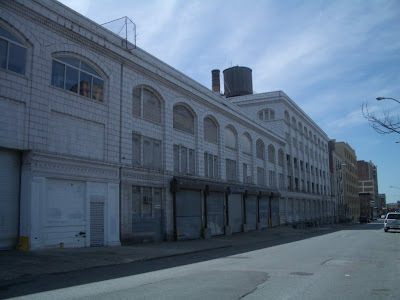 There may be those who feel they have good reason to believe that the Inspector General’s Office will hold back from investigating the Governor’s Office in a situation such as Atlantic Yards. That might normally leave a void. But here is where something struck us as interesting when we listened to President Obama’s speech on Tuesday. . .
That means that if Atlantic Yards were ever to receive federal stimulus funds a federal inspector could mount an investigation. It is interesting when just one office like a State inspector General’s Office has jurisdiction to look into improprieties. They may ignore them or choose to be lethargically inactive. What may raise interest sufficient to get an investigation rolling under one state administration may differ from another administration, and vice versa. We have noticed, however, that the dynamic often changes significantly when at least two such offices share jurisdiction over a matter: Casual disregard of a matter’s significance recedes as an option and competition can take hold. We certainly don’t ever want to see Atlantic Yards put on a list of projects to potentially receive federal stimulus money. But if that were ever to happen, a shift in the dynamic of who wants to investigate what and when and with how much vigor could cause things to become very interesting. Jane Jacobs suggests that cities must provide fluidity which means that different sections of the city should work together in multiplying options and choice for the city’s dwellers in general. There is no evidence that Atlantic Yards (or Metrotech) is creating any new options for living or working that people will utilize. The advertising for Atlantic yards advertises much that is unique that Brooklyn offers the city at the same time it will be destructive of these characteristics. 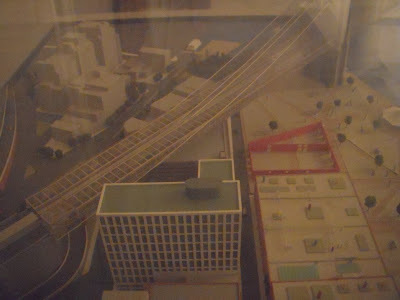 Jane Jacobs objects to projects being constructed in a self-isolating way, apart from the weave of the city fabric, which is the way that Atlantic Yards is proposed to be built and the way that Ratner’s Metrotech was built. Jane Jacobs calls for cities to be constructed gradually so as not to lose the existing intricate and close-grained diversity of uses that has built up slowly and organically and does not replace itself easily. Atlantic Yards, which is planned to be under construction continuously until finished will be the opposite of a gradual event, partly because of its concentrated scale and partly because, rather than integrate with existing fabric, it goes out of its way to tear down existing fabric and replace it in one sudden “swoop.” The minor fractional portion of Atlantic Yards that is being built over the rail yards must be built new and will not have within it very much existing city fabric. 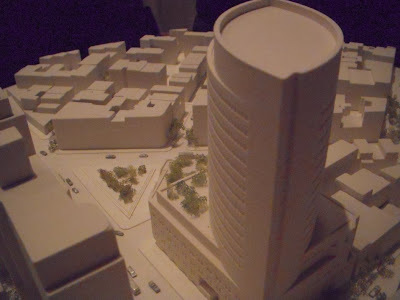 Still to integrate the new construction gradually, in a way that would allow it to relate better and in balance with the existing fabric Jacobs would suggest building this portion at a smaller scale and then integrating more building that would occur outside this area organically and gradually over time. Jane Jacobs calls for cities to be constructed with intricate and close-grained diversity of uses that give each other constant mutual support both economically and socially. 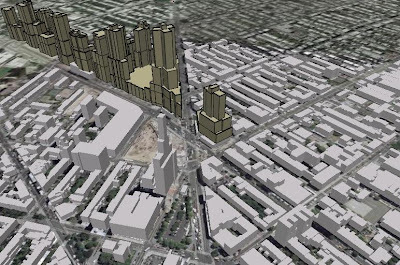 Atlantic Yards, and the Ratner Metrotech and the Atlantic Centers do not incorporate such close grained and intricate features. We are going to go off topic for a bit. But if we are clever enough about what we weave in, you might not even notice our departure from our usual themes. What better way to go off topic, however, than to get a chance to talk about music, something we love. When we do start to include advertising links, it will be for things we believe in. For instance, there are some good documentaries you might want to purchase about topics we believe in. 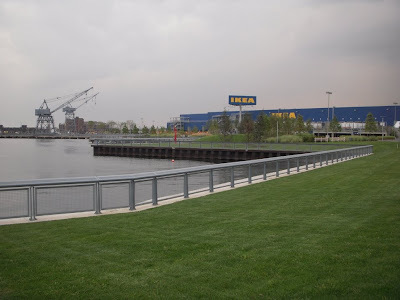 One of them is Isabel Hill’s careful and thoughtfully produced “Brooklyn Matters” about the extraordinarily errant Atlantic Yards megadevelopment proposed for Brooklyn. Another is “City of Water,” a superb film produced by the Municipal Art Society about planning for the best possible uses of our city waterfront. That film is regularly shown in public venues and will be available for DVD purchase in April. Here is what we specifically wanted to “advertise” by going off topic in this post. What we are going to tell you about is special because it is locally generated and has, not just marvelous music, but a rare personal and friendly feel. 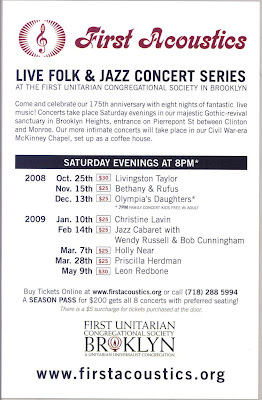 It is the new First Acoustics, a live concert series at the First Unitarian Congregational Society in Brooklyn. We have been to two of the performance evenings so far and each was memorable. There are three more evenings coming up, each of which we plan to attend. 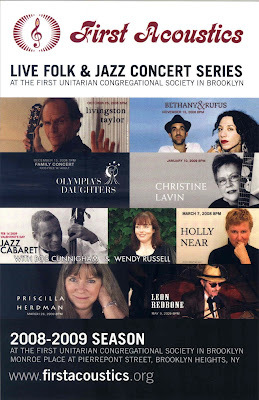 The series began with a double performance evening: Livingston Taylor and Cat Martino as the opening act. 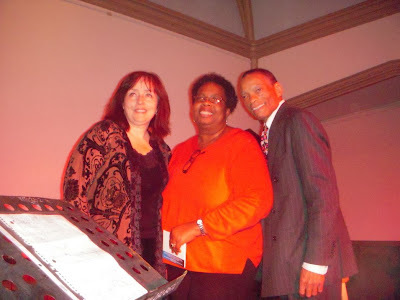 The evening introduced us to fellow Brooklynite Cat Martino, something for which we are very thankful. Ms. Martino has a rich, luxurious, meanderingly flowing voice and does something magical and technically astounding where she accompanies her own voice with repeating loops of sound. She adds successive overlaps contributing rhythm, harmony and counterpoint for a complex tapestry of sound, all of which she herself has generated with voice alone. We’re sorry we missed the next three evenings where the performers were Bethany & Rufus, Olympia’s Daughters and Christine Lavin. We also must say something about Coco Wilde, the producer of these evenings. She is a natural, relaxed host and her joy for what she is doing (and for her husband Bruce, who is helping her) is transporting. Here are the scheduled performances coming up (also available at the website where there is ticket information). As for Leon Redbone, we do love his Christmas album, “Christmas Island,” a gift from one of our illustrious musician family members. Is this post really so off topic? Perhaps not. A lot of what we write about concerns the importance of working from the community level up to generate an authentic urban experience. 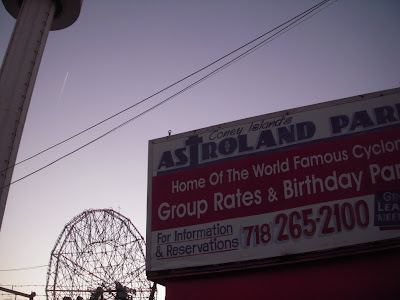 How to do that well in a performance sense (including music and theater) is exactly the kind of challenge that faces us, for instance, in terms of acting from the community level up to rescue Coney Island from the destruction which the city seems to be systematically bringing to it. How do we incubate and build the warp and woof of our local culture? Even better yet, in terms of a good locally incubated performance bargain, First Acoustics is planning a summer Thursday performance series which will be even more economical and will focus on “up and coming” performers. Proceeds Benefit the First Unitarian Congregational Society, Brooklyn. On topic again, the venerable Augustus Graham was important to founding the First Unitarian congregation and was devoted during his life to doing good in Brooklyn. We once wrote about how the Brooklyn Museum’s Augustus Graham Award should never have been given to a certain real estate developer. NYC mayor quiets critics with $239 mil. in ‘08 charitable gifts. 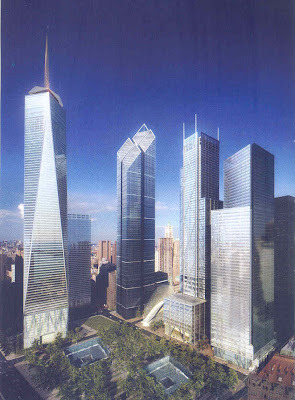 Now rebuild Ground Zero. Wrong! Bloomberg’s “charitable gifts” hasn’t quieted us as his critic. Quite the opposite. In fact, news of his 2008 “charitable gifts” (Newsweek fails to mention the $239 million puts Bloomberg #1 ahead of all other dispensers of “charitable gifts”) has been, for us, the occasion of detailed and wary criticism because Bloomberg misuses his “charitable gifts” for political ends. A Brooklyn Paper Editorial & Atlantic Yards: With Nothing Else Good To Say, We Are Stimulated To Say. . . 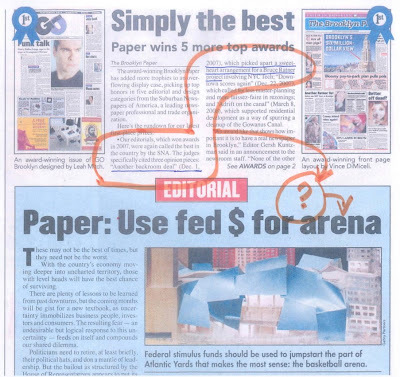 There is nothing else good to say about it, but we must praise the refreshing honesty of the neighbor-be-damned cynicism with which the Brooklyn Paper makes its case in its new (font-page) editorial: Build the arena — with fed money!, The Brooklyn Paper, February 5, 2009. The Brooklyn Paper has the temerity to advocate that Brooklynites should want to see federal stimulus funds, intended to rescue the economy, used instead for more of the sort of malfeasance that has propelled us with such force into our current cascade of economic problems. Though the Atlantic Yards megadevelopment will be deleterious to the economic health of Brooklyn and is representative of the worst kind of Wall Street and real estate industry rip-offs that are beleaguering our economy, the paper argues for a diversion of federal money into a billionaire’s pocket for more of the same. Unlike people such as Kathy Wylde, president of the New York Partnership, who unconvincingly advocates that Atlantic Yards is the kind of countercyclical infrastructure spending that can actually aid in recovery from a depression/recession, the Brooklyn Paper editorial, considered something of a shocker in several respects, pitches its argument in gluttonish-food-language terms not to our atavistic self-serving “lizard brains” but to our “pig brains” suggesting that the table is being set by irresponsible politicians. The bailout as structured by the House of Representatives appears to put its trust in politicians, whose backroom deals and fealty to special interests make them just as unlikely to act responsibly as the bankers and subprime real-estate promoters who got us into this mess. Even before the Senate votes, pols everywhere are salivating over the spoils, and we can see where this is heading. . .
. . . the bill is packed with pork, whose meat is deemed totally kosher by those invited to the table . . The mayor’s mission now is to lobby for as much pork as the city can digest. .
Those requiring government assistance should be offered a chance to bid for their hunk of pork. We should not reject offhand projects that might previously have been deemed unworthy. 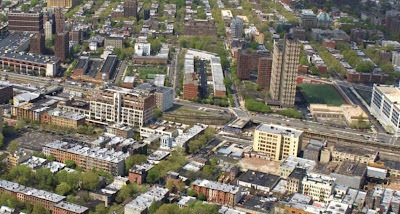 In the case of Atlantic Yards, for instance, critics might continue to argue over the larger project’s aesthetics and suitability for a site bridging Prospect Heights and Fort Greene, but complaints over several hundred million dollars in government subsidies are suddenly dated when a trillion dollars is sitting there for the taking. As long as Washington is doling out the gravy, Brooklyn needs to have its plate under the ladle. There are many problems with the paper’s argument. Probably foremost among them is that munching on this diet of backroom deals for which the paper suggests we whet our appetites is likely to give Brooklyn a coronary. 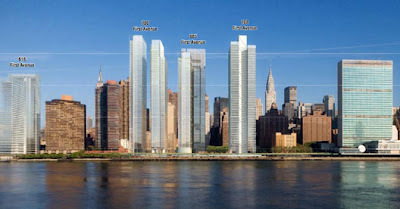 The paper forgets that the Atlantic Yards megadevelopment is in every conceivable way a net negative for the borough. That includes the proposed arena about which no positive distinctions should be made no matter how the paper structures its case. Arenas do not produce economic benefit, certainly not this one at this location. In other words the Nets are a net negative too. Bloomberg may crusade against trans-fats in the diets of New Yorkers but the unfavorably enriched mega-deals he is forcing down our throats, larded with no bid hand-outs to developers like Forest City Ratner, are the urban development equivalent of trans-fats, no better for our health and as clogging to our arteries (literally and figuratively). The Kathy Wylde/New York Partnership argument that spending on Atlantic Yards could be an economic plus was palpably reflexive and disingenuous in part because it was made before the expenditures discussed would have been federally funded. Keynsian countercyclical spending is actually not possible at the state level since states cannot print money the way the federal government can. Also, Atlantic Yards is not infrastructure. 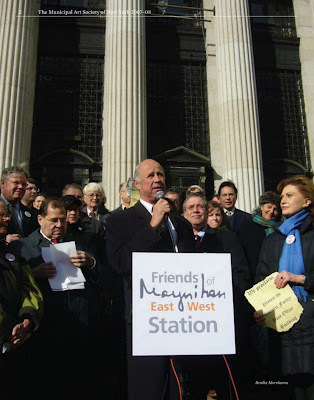 One quick way to recognize infrastructure is that, like the Second Avenue subway or the proposed new Moynihan Station, it is publicly owned and benefits the public generally. Atlantic Yards is instead proposed to maximally benefit a single subsidy-sucking developer with a land-grabbing, public-funded blighting monopoly on 22 acres of Brooklyn. General benefit and public ownership are supplanted by the unnecessary infliction of a private monopoly that grows to cover 30+ acres of Brooklyn if you include the other immediately adjacent acreage the public has already assisted Ratner in owning. With federal money now in play, the Brooklyn Paper seems readily cognizant that the economic downturn was engendered by, and that we got “into this mess” through, “backroom deals and fealty to special interests” and the irresponsible actions of “bankers and subprime real-estate promoters.” We heartily agree with this analysis. Let us speak from personal experience. I worked for decades at the state public finance authorities doing public finance bond deals. One of my jobs was to be on the team that evaluated proposals coming in from Wall Street. That meant a lot of smart, highly talented and well resourced Wall Street investment bankers coming in to make presentations. But a lot of those presentations didn’t, when analyzed, make any sense and this was something we had to be on guard against. It isn’t easy to have a new good idea: Good ideas get around so fast it is hard to have a good idea that hasn’t already made the rounds, but that didn’t prevent firms from coming in to present some extraordinarily bad ideas. The bad ideas would be presented with aplomb and straight faces. 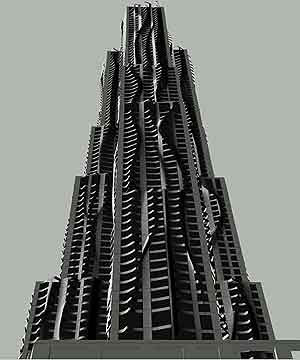 Some of them involved extreme complexity and ornateness. Shiny binders with impressive multi-colored charts abounded. I can’t tell you how often it would be that the supposed value of some idea being sold would seem teasingly almost-evident only to have it unravel upon careful analysis to being a black box of nothing. On Wall Street much of what glitters is not gold. Presentations concluded, we would ask, always politely, . . . so in the final analysis, this: 1.) doesn’t benefit the agency? and 2.) doesn’t benefit the public? Often the transactions involved crisscrossing interest rate risk exchanges, one transaction taking on risk and another to mitigate it perhaps even with this crisscrossing more than once. Some proposed schemes, after lot of abracadabra left you essentially in the same place (minus some fees) and some schemes actually involved undertaking significant gambles when we were in the business of protecting bondholders form risk. 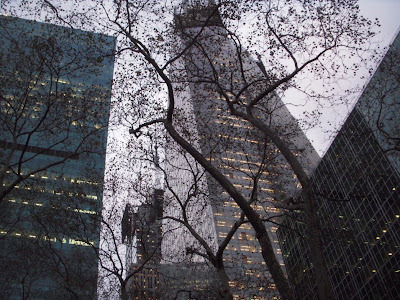 The Wall Street firm representatives were polite when their “ideas” were rejected. No doubt that some of the presenters simply valued the “face time,” hoping that we would be more likely to remember how smart they were when they actually did have a good idea to come back with. Still, it is frightening to think, especially when firms came in with some political heft, that if we said “yes” to what they were proposing the agencies might have implemented some of these harmful plans. “Churning,” Bad for You. . When dealing with Wall Street we should be on guard against “churning,” which consists of people creating transactions that have no inherent value but from which they will take away fees. On a personal level you might experience churning when a stock broker or financial adviser woos you into transactions the main import of which is that they will receive fees; for instance, selling one set of stocks just to buy others not inherently better. Real economic benefit involves the steady creation of additional value without the subtractions of unnecessary churning, fees or non-contributing intermediaries. In our personal life, we don’t bite when these intermediary firms call up to offer their services for a fee. Buttressing our suspicions of these intermediary firms willing to sell us their services are the many calls and emails we get from the very same firms offering us employment, the main point which would be to sell our friends, for commission, based on the idea that our friends should pay the firms fees for my/their financial expertise. So they want to both manage my money and hire me to manage other people’s money? My financial expertise? (We like to manage our money in the no-load mutual fund investments available, for instance, through the Vanguard Group). So in the financial world of Wall Street, so also in the closely-linked world of publicly financed real estate, at least if you are not on guard. We also remind people that Bloomberg has adopted an investment banker model for city development which is all the more reason to be on guard. It strays from conventional urban planning and good governance wisdom and even farther from the common sense of the highly regarded urbanist Jane Jacobs. Subsidy-collector Bruce Ratner is prime example of a “churner,” someone willing to take away a fee without delivering value in return. The danger of being shortchanged is greater when dealing with public finance projects that get subsidies because subsidies disguise the lack of fair value being given in return. It is the equivalent of the crisscrossing that allowed the creation of transactions on Wall Street so complex that bright people didn’t fully understand them and why a developer like Ratner, who can’t compete using development and better ideas, attaches himself to the pursuit of subsidies and the cultivation of public officials.
. . . the open wounds visible at every stalled construction site. The word “depression” has more than one meaning. It is not likely that the paper is intending to invoke anything other than the wound of Atlantic Yards, which the paper was convolutedly trying to rationalize. “Churning,” Bad for the Economy. . When all is said and done, most of our economic bubbles when pricked leave us ahead of the game. The fiber optics bubble left us with an infrastructure of fiber optic cable. The housing bubble meant we constructed extra housing that will be around for a long time to house and lower the cost of housing. However, the Wall Street bubble has been especially hazardous to our economic health because, with all the churning, it is not clear that when the bubble is pricked, anything of value was created to be left behind. People are still running from the “toxic assets,” the measure of whose poison they cannot assess. Buying into the idea Atlantic Yards megadevelopment involves the same kind of churning that, net net, leaves us poorer than we started out. Money may be splashed around but it doesn’t create. Wait! The analogy doesn’t end there. Our Wall Street debacles ended up with another untoward result, a regrettable redistribution of wealth left in the hands of the churners. The Atlantic Yards churning is also about the redistribution of wealth from the middle class and ordinary taxpayer to wealthy Bruce Ratner and his development company. One analysis of the Depression was that it was preceded and provoked by an over concentration of wealth at the top. Analogous to the freezing up that occurs at the end monopoly game, the economy couldn’t move because the wealth was too concentrated in too few players. There was need and want during the depression: At the same time there was also a problem with deflation because that need and want could not be economically expressed by the poor who were experiencing that need and want. If this theory is correct, then it is likely no accident that the current melt-down has been similarly preceded by a new concentration of wealth. If the theory is correct, practices that fleece the public to build up the mega-rich like Ratner would then only exacerbate our problems. If the theory is incorrect, it is still no reason to fleece the public to build up Ratner’s wealth with churns that do harm or, at best, produce no value.
. . . Ratner’s completely out-of-scale skyscraper park at Atlantic Yards in the low-rise Prospect Heights . .
Ratner’s people aren’t talking, either — more secrecy from a developer who has made his living by partnering with public entities on projects, like Atlantic Yards and Metrotech, that are approved outside the normal and rigorous city land-use review process. All developers make promises, and some of them fall short some of the time. But Ratner has fallen short most of the time, and has been paid handsomely for each insult. 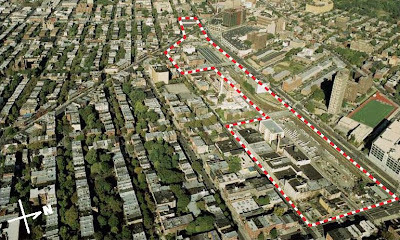 From the government-subsidized sterility of his fortress-like Metrotech (with its unused retail spaces and poor job-creation numbers), to the government bailout at Ratner’s pathetic Atlantic Center Mall, to the ever-rising taxpayer subsidy that underwrites his shell game at Atlantic Yards, there has been no accountability. Government keeps on partnering with Ratner — not only on the projects, but on the clandestine planning process, too. The editorial is also an anomaly since most editorials in recent years have been written by its editor, Gersh Kuntzman, whereas this editorial was signed by its publisher, Ed Weintrob. But it is even an anomaly for Mr. Weintrob to be writing in support of the project. We went back in time to the years when Mr. Weintrob was writing editorials more regularly. His own earlier editorials specifically against the megaproject were also quite inconsistent with his surprising new one. That argument ignores the fact that the arena has been used as the highly inappropriate argument for Ratner to land-grab a multi-acre monopoly swath of Brooklyn. As flawed as the argument is, unscrupulous politicians such as Mayor Bloomberg and Borough President Markowitz are bound to continue to argue for Ratner’s 30+ acre monopoly if the arena proceeds. And the rest of the problematic, oversized megaproject now facing well-deserved adversity is much less likely to be defeated if the arena-coddling rationale is supported to get it a successful start. This is as silly as jump-starting a car for a burglar making off with the family silver, expecting it will be handed back just as soon as he gets locomotion. The real story is that the Atlantic Yards project — and its companion Downtown Brooklyn Plan — is not about the Nets (whose stadium would occupy a tiny part of the massive site), it’s about a land grab by Ratner and his political clients, the largest, most expensive government seizure of private property for private benefit ever in Brooklyn. 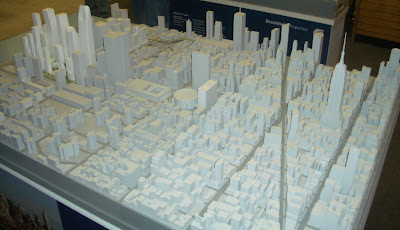 Bruce Ratner’s Atlantic Yards plan (it’s not just the Nets). This project gets a free ride on city approval. With the MTA apparently in Ratner’s pocket, only lawsuits may stand in the way of an ill-conceived vision. (The Nets arena, a tiny part of the Ratner-Downtown steamroller, is a masterful diversion meant to detract attention from the larger plan’s specifics.) 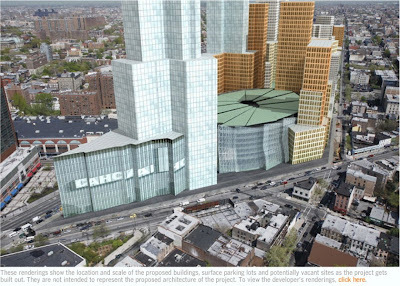 Atlantic Yards would permanently separate the neighboring communities of Fort Greene and Prospect Heights with a high-rise, de-mapped dead zone in the spirit of Ratner’s walled-in Metrotech office complex. The “developers” and their tagalongs have their mantra down pat: Give them carte blanche to take whatever land they want, build whatever they want whenever they want, take whatever government subsidies they want, then rest assured — there will be jobs and prosperity for all. If only the advertised conclusion was true. Major decisions are being made right now that will either doom Brooklyn to a cold, dehumanized future incorporating the worst elements of suburbanization and Manhattanization, or offer our communities the opportunity to thrive and grow on a humane scale. 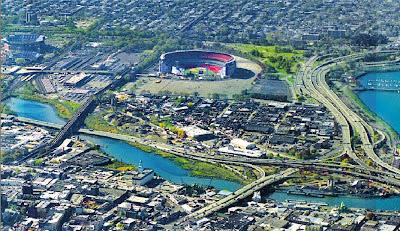 . . would constitute the biggest, most costly land grab in Brooklyn history and would likely leave us poorer both financially and spiritually. . 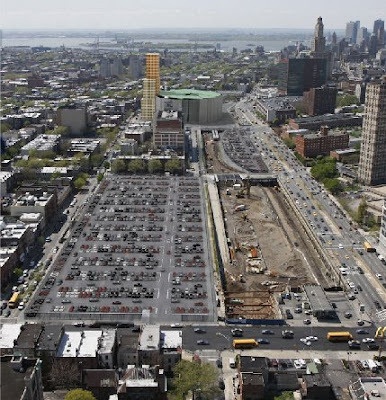 Whether Bruce Ratner gets to build his Atlantic Yards mega-project rests . . . on government’s willingness to put our treasuries at the developer’s disposal. The issue is that taxpayers are being asked to pay for Ratner’s game. On the eve of America’s independence anniversary, we ask New York’s high-falutin daily news media to do its job. 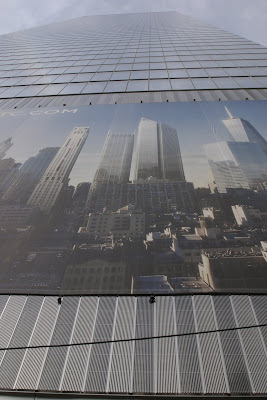 Simply report the news about Bruce Ratner’s project. Stop being the developer’s tool — and his fool. If we are not to be Ratner’s fools, why is it any better to advocate robbing from the federal treasury than from “treasuries” (plural) of the city and state? Among other things, the addition of federal money does not mean city or state money would be subtracted out of Ratner’s project. Will a False Choice Play with the Peoria-minded? Bottom line: If we don’t get the money, Peoria will. That’s not true. Getting money for Ratner only takes money away from other New York projects that are truly infrastructure and that would truly benefit the city and state, projects like the Second Avenue subway, the extension of the #7 IRT subway line to the west side of Manhattan, Moynihan Station, Brooklyn Bridge Park, Governors Island, the PATH tunnel to New Jersey and and the new water tunnel. Further, Atlantic Yards would not only be a net negative harmful to Brooklyn, it would be one that would also sap city and state dollars. 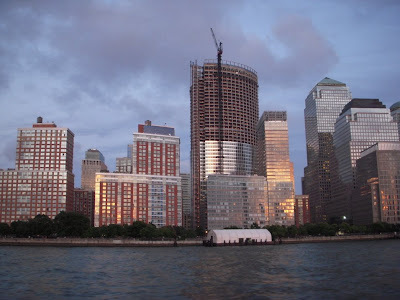 Federal stimulus money will only have the effect of making the project “shove-it-to-the-public” ready: It will not result in immediate construction jobs the way that the other aforementioned competing New York projects will. Weintrob Hankering to Defeat Obama? We have been reading Amity Shlaes’ new history of the Depression (a New York Times bestseller), “The Forgotten Man” which is about how long the Depression played out over time and how not everything that was done in the name of lifting the nation out of the Depression was serviceable in doing so. Ms. Shlaes makes the case that much of what government did was unwittingly counterproductive. Indeed, a fair amount of what Roosevelt free-rangingly and experimentally tried lacked common sense and consistency. Ms. Shlaes tells her panoramic story using a cast of individuals. One of those to whom she keeps returning to as an exemplar of what straightforward private enterprise can achieve, benefitting all, was a cousin of ours, industrialist, banker, philanthropist and former Secretary of the Treasury, Andrew Mellon. (Our grandmother, who came to the U.S. from County Tyrone Ireland, was Margaret Dorothea Lockhart Mellon Kelly and her mother Margaret Rose Mellon.) In part of the tale she tells, Ms. Shlaes recounts how Mellon, toward the end of his life, generously created the National Gallery of Art in Washington. In other words Ms. Shlaes describes a cycle of finding and rewarding economic success. We find that the Brooklyn Paper, in its 2009 editorial advocates the exact opposite. It advocates a cycle of finding and rewarding what we know doesn’t work economically. By advocating that federal stimulus funds, intended to rescue the economy, should be used instead for more of the sort malfeasance that has propelled us with such force into our current economic problems, the Brooklyn Paper would seemingly take us into an ever-descending spiral of economic failure. 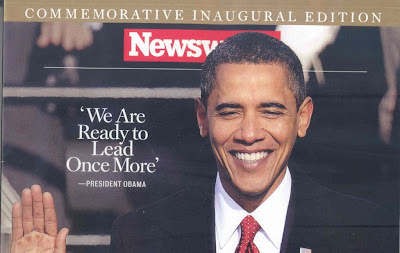 President Obama has famously been quoted as saying “We are ready to lead once more.” (See the cover of Newsweeks’ commemorative edition.) Is this downward economic spiral where Mr. Weintrob would have him lead?